Feeling creative? Need a night out with friends? Come on out for a Paint Mixer at Fig Tree Gallery Studio! We’ve got a cute little patio area and an art studio for you to let your imagination go wild! Looking for a private party or fundraiser? Feel free to contact us about setting up an event of your very own! (Yes, we can come to you!) You provide snacks and drinks…we provide all the supplies, instruction and creativity! Please e-mail us for pricing at figtreenh@gmail.com or call (603) 348-5208! 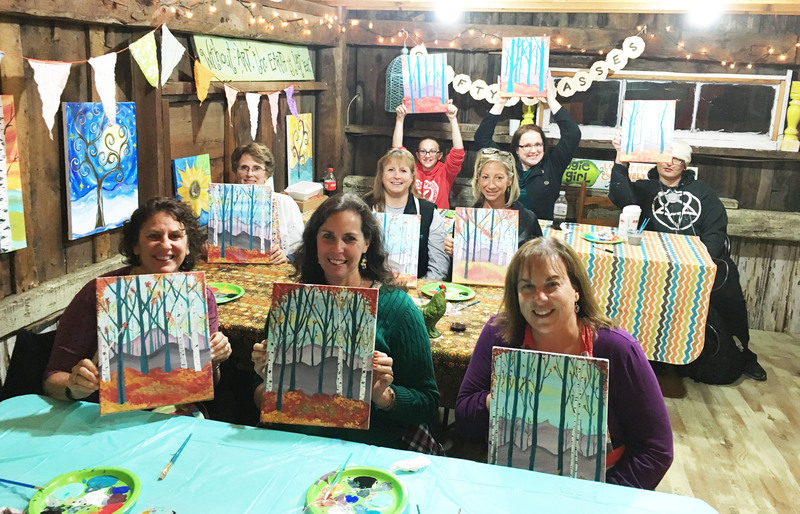 Paint Mixers make a great work team builder, shower or birthday party! YOU pick the theme and we bring EVERYTHING, including a one-of-a-kind design for you to learn!